2 Punk Dogs: The Blues Brothers, Pet Rock and Woofstock! Ever since I saw this picture I've had the song "Soul Man" running through my head, not kidding! "Say hello to Jake and Elwood! These 1-year-old male Chihuahua mixes are brothers, and because they are so bonded, they are looking for a home together. Can you believe someone rescued these cuties from the side of the road? Both were in rough shape when they made it to Buddy Dog, but with a little TLC they are now doing so much better! 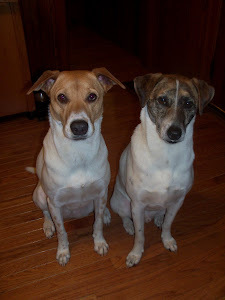 Jake (on the left) was found with an injured front leg, which had to be amputated. But not to worry, he gets along fine on three legs! Jake and Elwood are super friendly, and they love to play and cuddle. They get along with cats and other dogs, but their playmates should be gentle! They are semi-housebroken and they use puppy-pads here. 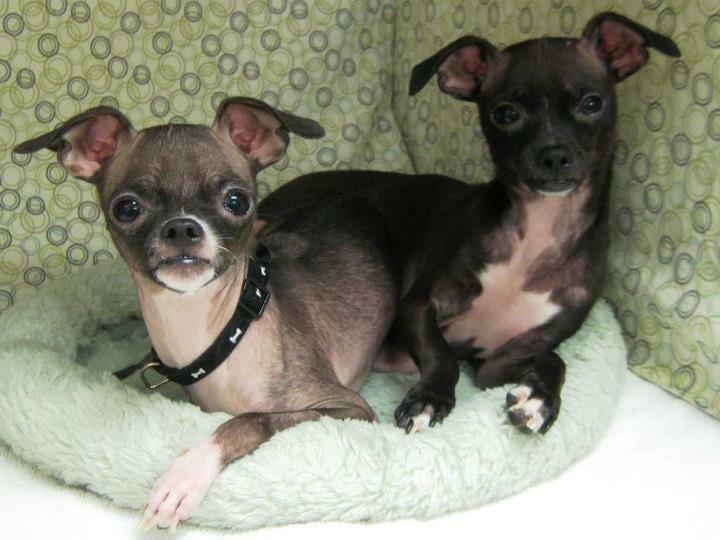 Jake and Elwood are two very special little guys! Please call or visit the shelter for more information about them!" These guys are the definition of cool. They've been through a lot and are happy, fun dogs who get along with everyone. Talk about rock stars! 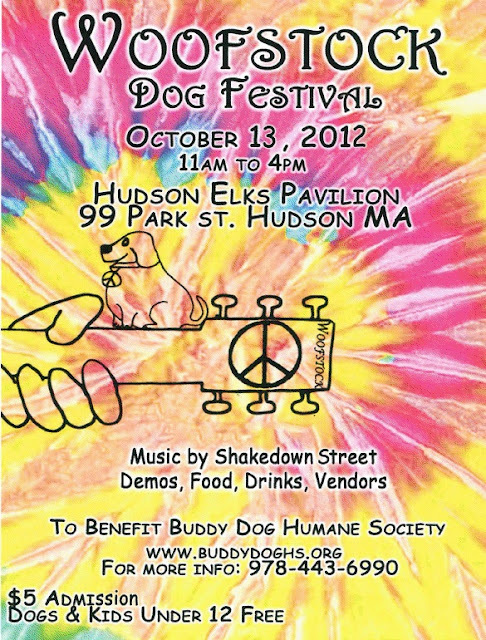 Two great events are coming up that both feature music and pets, Pet Rock on Sunday, September 9 in Worcester, MA and Woofstock on Saturday, October 13 in Hudson, MA. This will be the 14th Annual Pet Rock Festival, Pet Rock has raised thousands of dollars for many New England based animal welfare organizations since being founded in 1999. There will be rescues, shelters and animal organizations from across New England attending, click here for a list of groups. The festival will have a live music stage, an activities stage with an Adoptable Pet Parade plus a Dog Contest with categories including Best Ears, Owner-Dog Look Alike and Waggiest Tail. Click here for the full Events Schedule. I wish I had remembered the awesome Cat Photo Contest earlier, as online submissions are closed, but the winning photos will be on display at the beginning of the festival. Click here for a printable coupon for $2 off admission, otherwise tickets are $13 for adults and $5 for kids under 12. Click here for a current list of organizations and vendors attending Woofstock, with more to come as we get closer to the big day! Woofstock 2012 wristbands are now on sale at the shelter, $5 per wristband, just wear it to Woofstock for admission to the festival. Nice to see that Jake and Elwood are safe now. Liking the cool events. Have a great Saturday. Thanks, they're nice and cozy together. 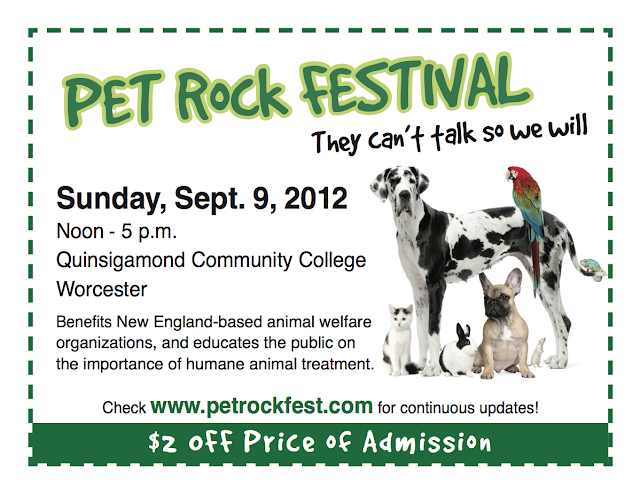 Pet Rock Festival, huh? Does you guys know Juno, from Juno's Place, on Face Books? She goes to that festival with her Mama, probably she will be in her super-cool racecar with her helmet and goggles on! I hope you sees her, if you is going to it. I might have to make a Facebook page after all, Juno is so cool! Hope we see her at Pet Rock, thanks for letting us know. Love the pic of those Chi babies. Crossing fingers for them to find a special home. The Mr.'s family had a chihuahua for 18 years, I would eventually love to have one. Me neither. Thanks for the good wishes! Oh I'd like to be friends with Jake and Elwood! They would like that too! What awesome brothers! I'd totally hang with them, even though I'm not always "gentle"! They'll get the perfect forever home, I know it! Thanks for sharing these dudes! They are cool, just so teeny that they could be squashed by a hyper dog. Maggie body slams 50 lb Duke across the yard, so she's off the gentle list too! Jake & Elwood look terrific! We hope they find their forever homes soon! I can't wait for the upcoming dog events! We probably won't make the one this weekend because my folks are visiting and Worcester is really far from us, but I'm hoping we'll make Woofstock. Hope to see you at Woofstock! They look like conjoined twins in the first picture! I can see why they want them to go together! It would be odd if phrase "attached at the hip" was literal! Oh great, I am going to have that tune in my head for days now. (I played the keys/(synth) horns in one of the bands - used to LOVE it.) But more importantly - what a couple of cuties!!!! Sorry about that! (Impressive, I can not play piano or keyboard at all, so bad.) They're so unique looking, wish we could take them, but Maggie is not gentle at all. I'm interested in transport and the Mr. has a Honda Element, which is good on gas and can hold quite a lot. I might be able to do one a month, it's tough with work and classes, but it sounds like it would be cool!